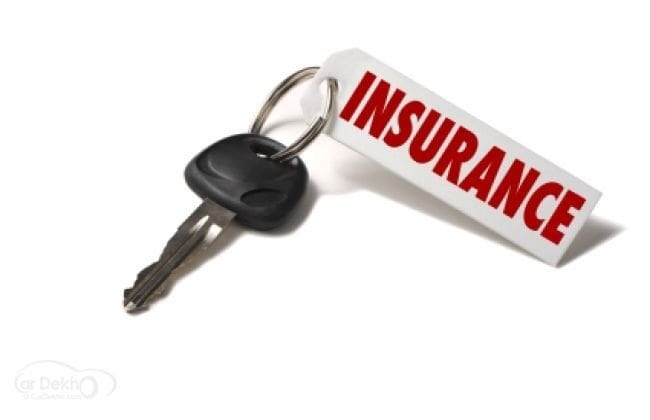 As a car owner, settling upon an apt car insurance is very important. And there are certain things to be mindful of while you buy car insurance -- especially if you are a newbie -- to make a good decision! First things first, there are two types of insurance policies you can choose from – a traditional policy or a comprehensive policy. A traditional car insurance policy contains what is known as the Third Party Liability and the Personal Accident Cover. What are these? While the Third Party Liability, covers the damages on person or property of a third person, the Personal Accident Cover serves as a cover for the owner of the car in case of an injury or death resulting from an accident. The Comprehensive Car Insurance on the other hand, is a cover that has both the Third Party Liability, the Personal Accident Cover and an additional cover known as 'Own Damage'. What are the benefits of this cover? This provides for damages to the car from natural and man-made threats like terrorism, riots, earthquakes, floods, hail. Given the numerous threats that your vehicle faces on and off the roads, this cover is extremely useful. Another thing to acquaint yourself with while buying a car insurance is the IDV; the value that the insurer places on your vehicle. Known as the Insured's Declared Value, this is the maximum amount that will be paid by the insurance company in case of a total loss of your vehicle. If you want a higher value for your car, you can have its IDV increased by paying an additional premium. You will also be given a choice to opt for a 'voluntary deductible' or 'voluntary excess' in your policy. This is the amount of money you volunteer to pay at the time of claim. Opting for a voluntary deductible, gets you a discount on your premium. But ensure the amount you agree to pay is easy on your pocket. If you are looking for an affordable car insurance, shop for a policy online, it is relatively cheaper. With the advent of online insurance companies like BerkshireInsurance.com, buying a car insurance is quick and easy too! Sitting in the comfort of your home, you can buy a policy in a matter of minutes! You can also use aggregator sites to compare various policies and premiums. While comparing, don't just jump at the premium being offered but also note the policy features. Insurance companies offer some great policy benefits like Cashless Claim (repairs without paying cash) and 24*7 Spot Assistance (on-the-road assistance) which can prove extremely handy! Besides the above, there are some other critical questions/terms that are bound to come when you go for an insurance. Here are some of those. 1) How to transfer insurance for a used car buyer? For transferring insurance, you need the existing insurance and other documentation supporting name and address changes. You will also need documents authorizing the name and address change. After getting all the supporting documents, you have to get in contact with your insurance agent for the transfer to be done. Every insurance company will have a certain timeline for the procedure and you have to finish all the work done in that time. After all the documents have been submitted with the insurance company, they will send the new policy. Bumper To Bumper insurance is an additional 'depreciation cover' cover offered on the car where no depreciation will be deducted on wooden, carbon fibre, rubber, nylon and plastic parts except batteries and tyres. Zero or Nil depreciation cover is a comprehensive coverage without any depreciation, which means in case of your car is getting damaged and you file a claim, the insurer will cover the entire cost without any depreciation. No Claim Bonus is the benefit given for those who have not claimed insurance during the previous year of the insurance cover. Using the NCB, the premium that the customer pays in the following year will be considerably less. The No Claim Bonus is however applicable only for the own damage cover of the insurance and not for the third-party damage part of it. Every insurance company charges some amount in the name of processing fee or by some other name during insurance claims. This amount differs with every company and it is better to clarify about it at the time of applying insurance itself. The bottom line is whether you are a newbie or an old horse, research thoroughly and be well-versed with the terms and conditions to settle upon an apt car insurance policy!